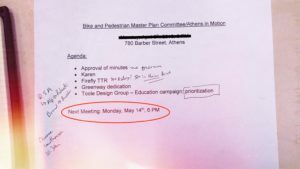 Athens-Clarke County officially accepted the Athens in Motion Plan in October, 2018. 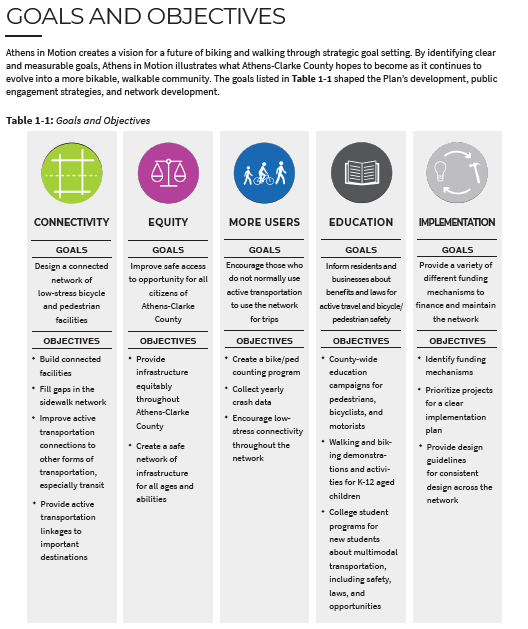 As you know, Athens in Motion is a plan for better biking and walking throughout the county. 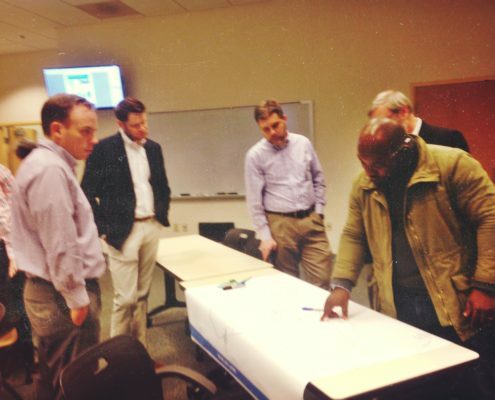 It updates and overhauls Athens-Clarke County’s 2001 Bike Master Plan. This is ACC’s first Walking / Sidewalk Plan. Athens in Motion also includes an education, encouragement, and safety strategy. 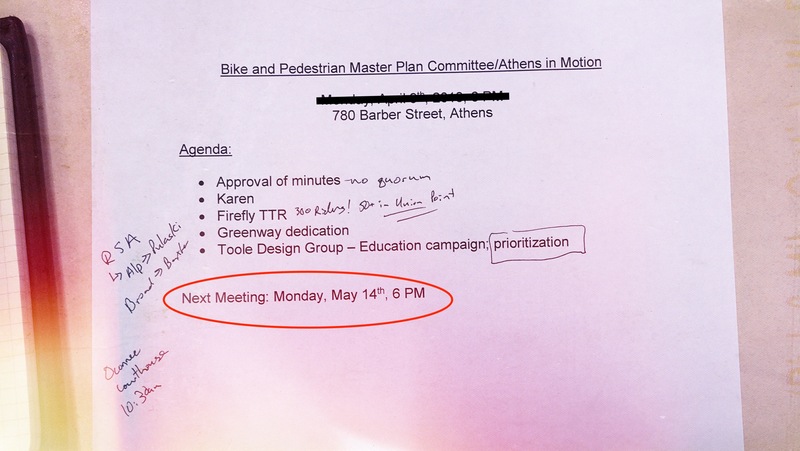 Athens in Motion’s fresh approach will introduce a host of improvements: a clearer philosophical approach; more protected bike lanes and connected sidewalks; low-cost solutions; and perhaps most importantly, an updated list of community-approved priorities. Check out this post for a quick primer on the Plan. The plan’s acceptance does not mean our work is over. Implementation is key. First on the ground will likely T-SPLOST funded projects, followed by proposals and projects in SPLOST 2020. Education, Encouragement, and Safety will be an ongoing project. 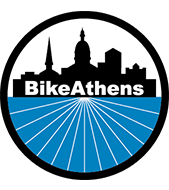 Athens in Motion also recommends further policy changes to ensure Athens has robust policies to improve walking and biking. We will need your help advocating for implementation of Athens in Motion projects, policies, and recommendations. Email us at to learn more about how to become a community advocate. We will keep you informed and involved as the plan become reality. Introduces the plan’s “Goals and Objectives,” reviews success measures, and discusses the plan’s development. The Goals are important. They shaped the development of the network and the the prioritization of projects. contains an explanation and analysis of the plan’s Network development. It is a discussion of how the plan chose the projects it did. 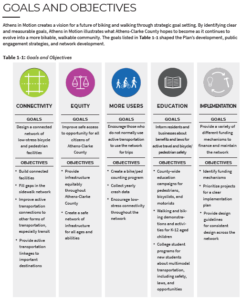 Pages 26-29 include a series of graphics displaying the current Level of Comfort for all streets in the county, plus how they connect, or don’t connect. Level 1 and 2 streets are the most comfortable, and Athens has a lot of streets and trails that are Level 1 and 2. 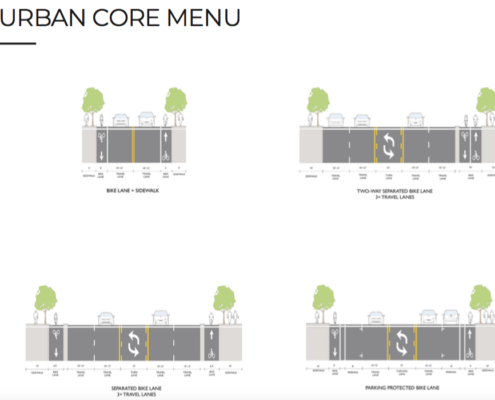 However, as these maps demonstrate, comfortable, safe streets are often isolated and fail to connect. details recommended programs and policies to improve education, safety, and encouragement. 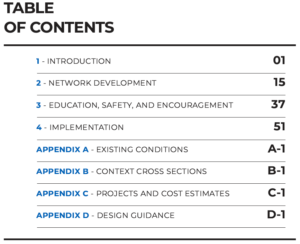 Highlights from Chapter 3 include a introduction to Vision Zero / Safe Systems approach to street safety. This chapter also includes suggested Road Safety Media campaigns. If you are interested in education, there are a lot of small-scale projects that BikeAthens, community groups, and neighborhoods can implement on their own. is perhaps the most important chapter. Chapter 4 focuses on implementation. Pages 53-54 review the prioritization criteria, with a heavy emphasis on making sure the plan is equitable (this is how we define equity). Pages 54-55 further explains what prioritization factors applied only to bike analysis, and which applied only to sidewalk analysis. Pages 62-64, lists the Tier 1 projects for biking and walking. Their 1 projects are those that the prioritization criteria lifted up as the most important. Chapter 4 also includes recommendations for which projects ACC should use its TSPLOST money to build. This will become the blueprint for a lot of our project-based advocacy work. That is not to say that this list is set in stone. We hope that this list is responsive to community need and community desire. Chapter 4 does not stop at infrastructure. Pages 71 and 72 discuss policy recommendations. These recommendations will also fuel our future advocacy. Finally, the Chapter concludes with an Action Plan for short- mid- and long-term success. Athens in Motion includes 4 lengthy Appendices, but we think B and D are the most valuable. 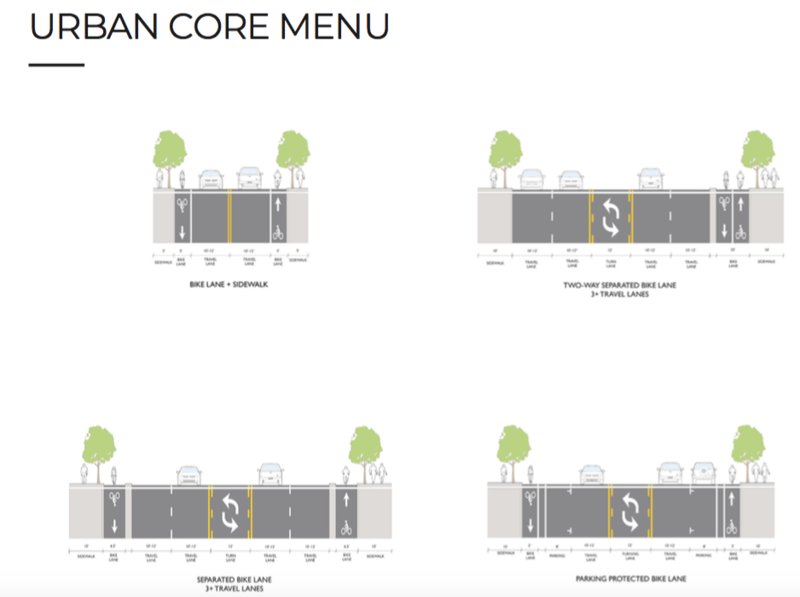 provides a menu of options for possible street designs in different contexts. For example, a bike lane downtown will look different than one on the rural edges of the county. 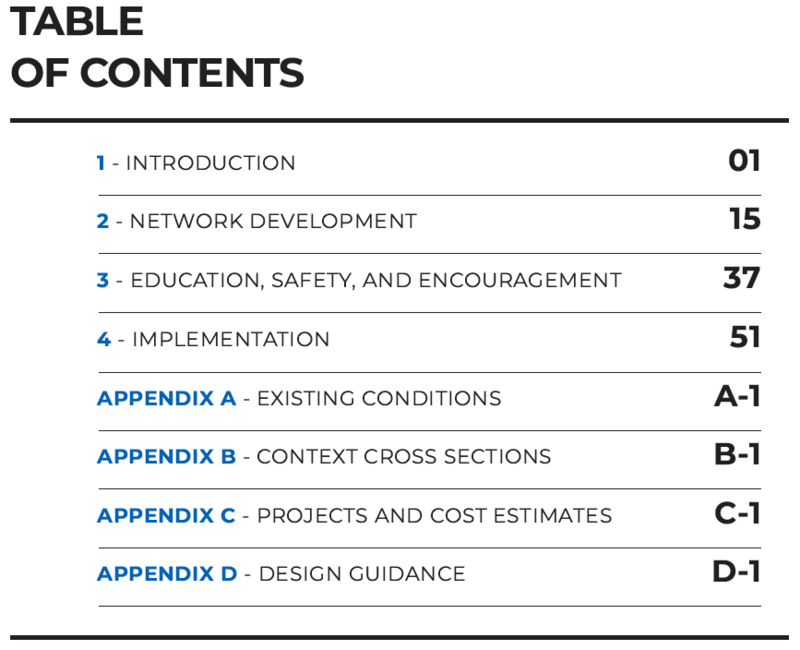 Chapter 4 identifies the location of a project; Appendix B gives an idea of what type of design solution may be most appropriate. goes in-depth to talk the specific of design. Where Appendix B provides a nice visual illustration, Appendix D gives the why and the how. There are over 60 pages of discussion. It defines various designs and explains why they work. 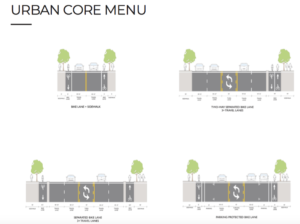 This Appendix distills a lot of research into one handy guide of current bike-lane and sidewalk design. For folks interested in bike lane advocacy, this is an informative and critical read. May 14, 6:00pm @ 780 Barber St.